This article is Part 1 of a two-part series on the “Green New Deal.” Part 2 will address the organizations promoting this massive socialist proposal. The “Green New Deal” currently being promoted by socialist Rep. Alexandria Ocasio-Cortez (D-N.Y.) will halve the U.S. military budget. The proposal, which enjoys support of more than 40 other Democratic representatives, is a plan to re-organize the U.S. economy along what is deemed to be ecologically sound lines. If fully implemented, the Green New Deal will at best plunge the world into a massive war or, at worst, into an unprecedented permanent tyranny. Unsurprisingly, the Communist Party USA (CPUSA) supports Ocasio-Cortez’s plan. After all, she is a member of the United States’ largest Marxist organization, the Democratic Socialists of America (DSA), which is formally allied to the CPUSA through the Left Inside/Outside Project. The Green New Deal, described euphemistically by The New York Times as “a call to reimagine an environment-first economy that would phase out fossil fuels,” promotes massive government jobs programs, guaranteed incomes for all, and a whole raft of hugely socialist proposals. Right now, the neo-“Evil Axis” of China, Russia, North Korea, and Iran are re-arming at breakneck speed. Beijing, for example, is openly threatening Taiwan, which is creating grave concern in South Korea, Japan, the Philippines, Indonesia, the Pacific micro-states, Australia, and this author’s country of New Zealand. 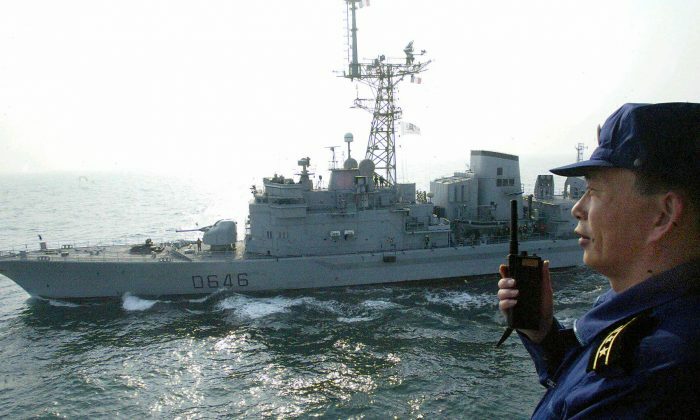 China is building around 60 military vessels a year right now. The United States is building less than 10 military vessels per year and, thanks to former President Obama, has the weakest Navy in decades. The commander of the United States Indo-Pacific Command, Adm. Philip S. Davidson, stated in April 2018 that “China is now capable of controlling the South China Sea in all scenarios short of war with the United States,” during his Senate confirmation process. If U.S. military spending was halved and all U.S. bases west of Pearl Harbor (maybe even including Pearl Harbor) were abolished, what would stop China from dominating the whole Asia-Pacific region? What would that do to U.S. trade relationships and national security capabilities? Halving U.S. military spending almost guarantees an invasion of Taiwan and the extension of Chinese power right across the Asia-Pacific region. As China already has huge influence in South America and Africa, it would effectively deliver the Southern Hemisphere to China. Russia may not take advantage of U.S. impotence and re-conquer Europe, Iran may not attack Israel and Saudi Arabia, and North Korea may not join in the fun, but this author would not bet on it. The Green New Deal may not give us World War III—but only because America will be too weak to fight back. As mentioned previously, the neo-Evil Axis’s most reliable ally in the United States, the CPUSA, is heavily promoting the Green New Deal. $10 trillion would cover all current U.S. military spending for a decade. As the Green New Deal is supposed to be implemented by 2030, this proposal would mean that the U.S. military budget would be virtually eliminated. That doesn’t even account for the colossal drop in industrial production and trade that would inevitably occur. The Green New Deal would effectively end the U.S. military as an effective fighting force and spell the end of NATO and all other Western military alliances. Would China and its neo-Evil Axis partners sit back while all this unfolded, or would they take advantage of the opportunity to expand their economic and military influence at the United States’ expense? In other words, if the United States gets into a shooting war with China, the CPUSA will work on U.S. soil to help America’s enemy. Of course, this is the very definition of treason. If the CPUSA is willing to work for China during war-time, why would they not work in peace-time to sabotage the U.S. economy, or to destroy the U.S. military to the benefit of their masters in Beijing? If the DSA and the CPUSA succeed in forcing the Democrats into implementing the Green New Deal, the ramifications are inconceivable. America would cease to be America and would become ripe fruit to be picked by China, Russia, Iran, and/or North Korea. The Green New Deal is a national suicide pact. 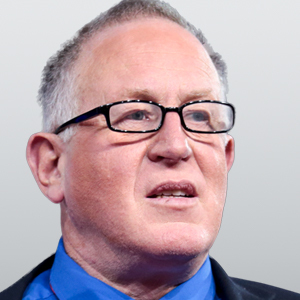 Trevor Loudon is an author, filmmaker and public speaker from New Zealand. For more than 30 years, he has researched radical left, Marxist and terrorist movements and their covert influence on mainstream politics.